Staffordshire star Scott Simpson made it a hat-trick of wins in the £2,430 Wrockwardine Wood Open – just as organiser Stuart Rutter predicted he would beforehand. Scott Simpson on his way to Wrockwardine win. The county regular who bowls for Willenhall Nordley and also for Sir John Bayley in the Shropshire Premier League, took the £750 first prize by beating his Staffordshire team-mate Nathan Dawes 21-19 in a nip and tuck final. But it wasn’t all plain sailing for 28-year-old Simpson on a cool but dry day in front of a decent crowd around the Telford club’s older green. He needed four twos to finally get the better of Dawes after coming through a close semi-final against former Wrockite Scott Harries – despite having raced 10-1 ahead. Harries battled brilliantly to get back to 16 across with the help of five doubles, but couldn’t stop Simpson winning 21-17. 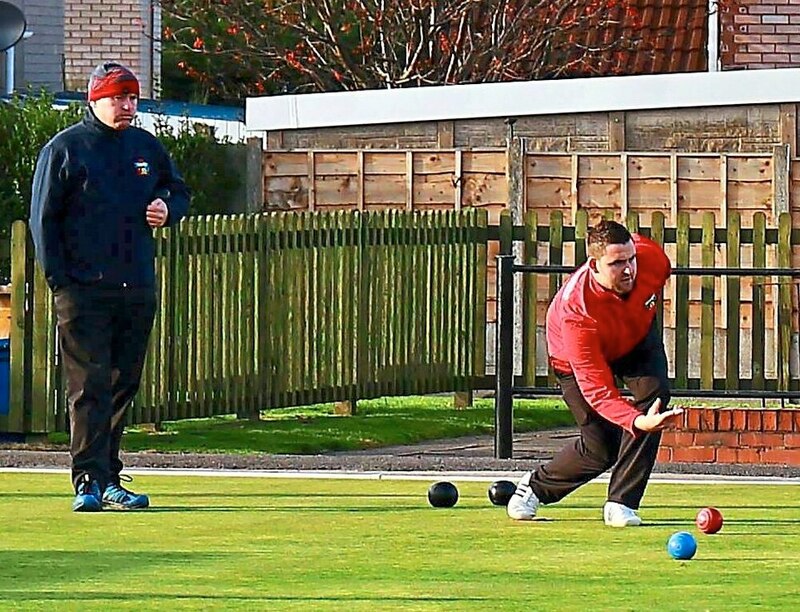 Earlier, Simpson had won the battle of the past winners against Newport’s Peter Farmer, 21-15, in the quarter-finals, while former Hadley USC bowler Simon Homer accounted for Beer (Castlefields) 21-18 when the last 16 went into battle. Dawes beat last year’s British Merit winner Darren Plenderleith 21-20 in his semi-final, having got past Yorkshire’s Ashley Tattersley 21-16 after being from 9-3 down.